I haven’t done a proper ~fashion haul~ post since I’ve come back to Korea. I’ve done various beauty hauls, but fashion is so much harder to do right now. Maybe because I’m minorly (chronically) lazy, and I don’t have the Good Tripod with me, the one that actually supports the weight of the canon, but also because it’s not exactly the easiest thing to ask your fellow teachers to take shots… and all the photographer friends I know don’t live in my city – they’re Seoul proper. Seriously, it’s a lot easier to be a consistent fashion blogger if you have someone super close (and decent at photography) to take shots for you. Oh well. Regardless, for the last few months the trends have been shifting into more summer appropriate clothing, which makes me super happy as summer is my favourite season. 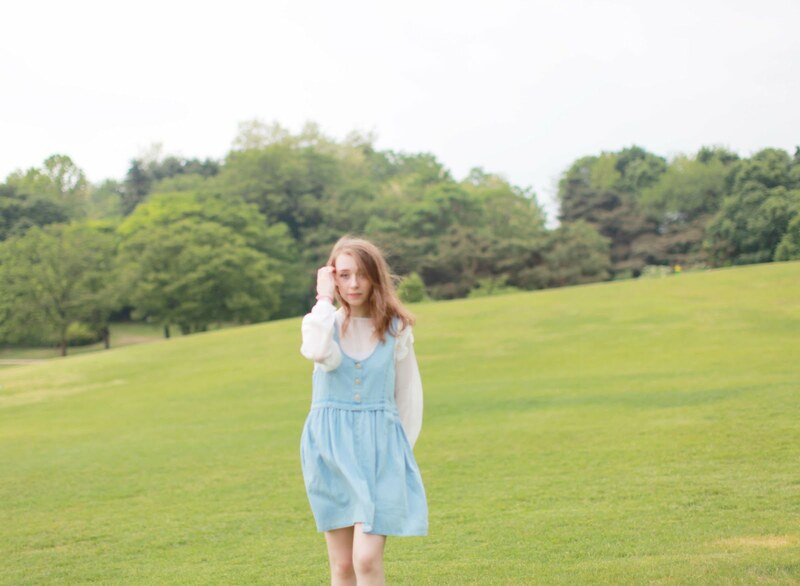 Korean summer fashion is also adorable and generally quite practical for heat and humidity. Not always so practical for a workwear wardrobe, but at least I won’t die on the weekends. I also really love how a lot of the fashion that trends in South Korea is really age-neutral as well. 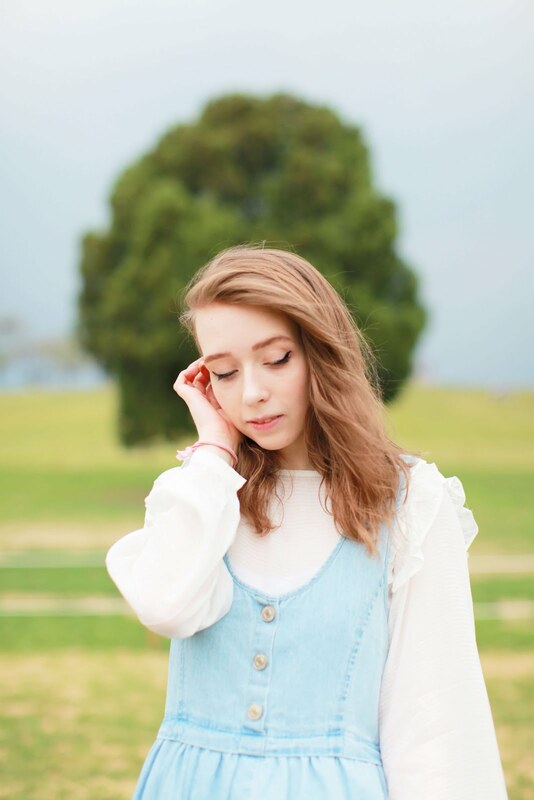 Generally, I feel kind of trapped between dressing like I’m still 12 or 13 (it doesn’t help that I have a ‘bait face’ too, I confuse basically everyone I meet with how old I am), or ‘little girl-like’, and dressing like I’m a 23 year old working adult. In England I did get comments telling me to dress more like my age (they can always, always f*ck all the way off), or telling me I was ‘trying too hard’ if I did (again, they can f*ck all the way off). As if finding your personal style wasn’t hard enough, you gotta then adjust it for the workplace. It’s nice to see how there’s capacity to buy (or get style inspiration from) something whether you want to dress a little more girly and feminine, or a little older, and pretty much everything in between. It’s a lot easier to be a style chameleon when you have pretty much all the choice you could comfortably deal with at an affordable enough price point to actually try everything. It means that I’m not exactly doing wonderfully with cutting down on ‘fast fashion’ as I’ve been trying to do – but it’s a really freeing experience to be able to try lots of different styles without cringing horrifically at how much it’s costing. Or pick up things here and there that would have had people telling me to dress my age back in the UK… or garner more stares and discomfort than it was worth. It’s also really freeing at just how nonplussed the general Korean public is about the way you dress, whether it’s all the ruffles and doll-like dresses, or casual as you like. I know I mention this a lot when I draw comparisons between the two, but the difference in how little people actively care about the way people dress in Korea, versus the comments and stares at any sort of difference in even more progressive areas in the UK is probably the only instance of culture shock I get. I don’t know why it still baffles me so much that I can wear a check/gingham midi skirt with ruffles up the front with all the ease of wearing black jeans in Korea, but the same outfit would cause me some kind of minor aneurysm in the UK. Or wear dresses that make me look like I’m about 15. I’m also far less fussed about being called cute all the time. Like it’s almost like it’s not a bad thing to me anymore. This has turned into more of a ramble about things rather than any talk of whimsy and probably what anyone was expecting, so here, have some outfit details. I’ve gravitated back to the ~slightly oversized~ vibe as summer has crept up on us here in South Korea. The weather isn’t really forgiving when it comes to daytime temperatures… and from June the humidity is gonna get ramped up a notch. So I’m filling my wardrobe with cute dresses that hang a little looser and flow a little more. 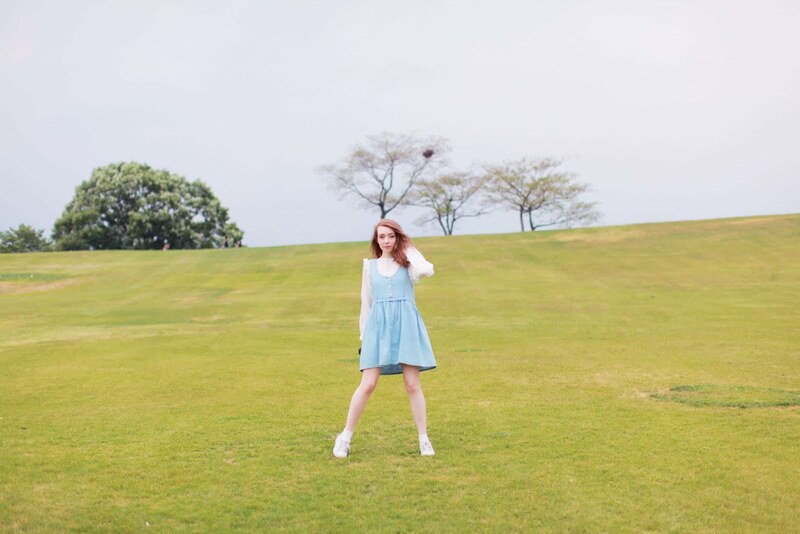 I love the slightly doll-like vibe of this dress from forever21, and the denim is light enough that, even though it’s really more of a spring style, it’ll work well for summer. I paired it with this ruffled blouse from h&m. It was a case of ‘see it once and fall in love’, honestly. I’ve been looking for a ruffled top that wasn’t ~too~ ott with the detailing, and this one is perfect. It’s dainty in the way that it’s a sheer fabric, and the way it’s cut in a more peasant style means it’s cute and floaty. The ruffles aren’t huge, but they accent the sleeves and the bib at the front and back really nicely. It’s also time I probably got some real stan smiths in my life. I’ve worn these New Look dupes so much that I can actually justify the real version without too much pain. They’re such a versatile shoe, and I love how they can work with pretty much every outfit now that ‘sports luxe’ has been a thing. There are also a ton of other dupes at Bershka right now, and in the general places like Hongdae and Edae… though I might have to hit up g-market and see if there are any deals floating about. "10 good things in May"
"Gingham, bows, and body confidence"